Class D State Championship Game. The Breslin Center at Michigan State University, East Lansing. Saturday, March 24, 2018. 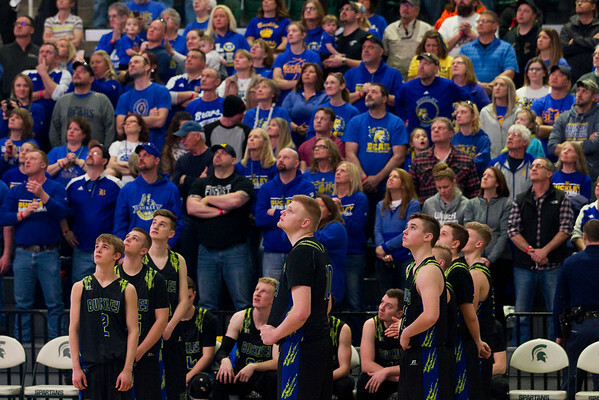 Buckley fans and players watch a video before the start of Saturday's class D championship game against Southfield Christian at the Breslin Center on the campus of Michigan State University in East Lansing.